A lot of helmets now come without an intercom, this allows users to fit their own wether they are Stilo, Peltor or another brand. This gives far more flexibility for the user, especially for co-drivers who may need to swap from one to another depending on who they're with. The Stilo open face intercom is designed for easy fittment and boasts Stilo's high quality electronics. Will fit the Turn One open face helmet. 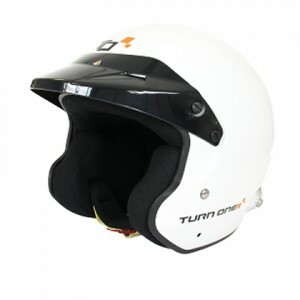 The Turn One Jet-RS helmet is a great European made helmet, with a great price tag. Super c..